The secret is out! 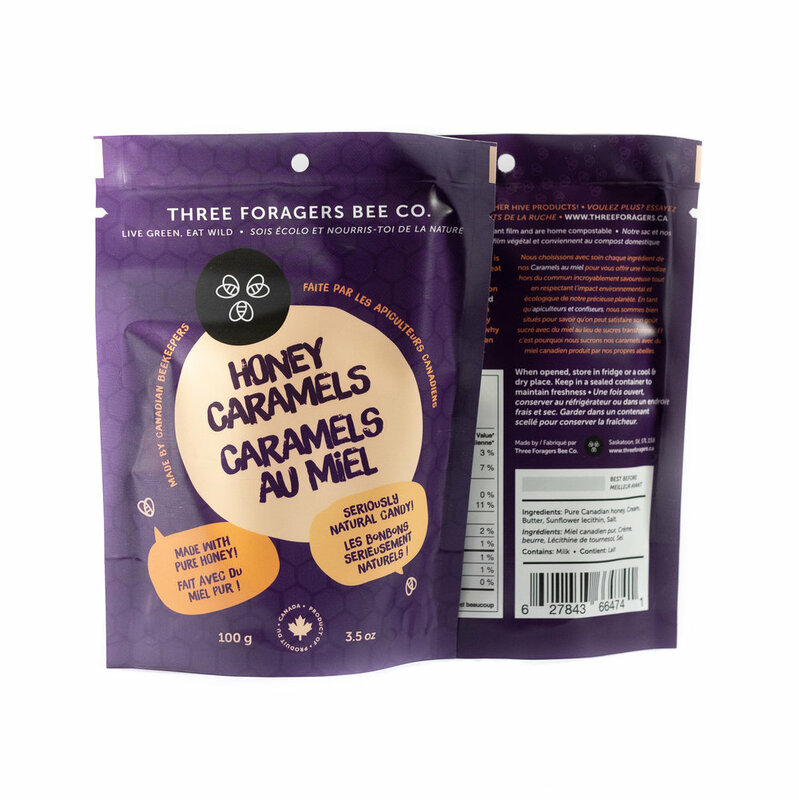 The Three Foragers Bee Co. honey caramels are now available! Over the past few months, we’ve been working hard to perfect our newest product and we are over the moon to at last be able to share them. Our original honey caramels can now be ordered via our online shop, and they will also be hitting store shelves very soon. Last month, we ran a contest looking for two new product taste testers and we were delighted to crown Melissa Hoffman and Tracy Cameron as our official honey caramel taste testers. Melissa and Tracy were two of the very first people to try our brand new honey caramels and here’s what they had to say about them. “Ohmygawsh! These honey caramels are SOOOOO GOOOOOOD!!! I thought they might be too sweet, but no - they are decadent and delicious! The smooth caramel peeks out of the translucent wrapper... I inhale deeply, the sweet buttery scent, as I carefully peel away the wrapping. A soft, easy to eat caramel - the confection melting on my tongue, and with every bite, I am transported back in time, as a child, standing beside my grandmother in the kitchen, licking homemade caramel off the spoon. As I chew, I note the hint of burnt caramel, blossoming on the back of my tongue, softening and beautifully rounding out the sweet buttered honey top notes. Thanks so much to Melissa and Tracy for taking the time to share their thoughts. We are delighted to hear that they enjoyed our honey caramels and we truly hope all of you will too. Once you’ve ordered your bag, we’d love to hear your thoughts. Feel free to leave us a review on Facebook or Google. Happy tasting!